انجمن نجات ايران : What's the Real Number of Iran's Drug Addicts? 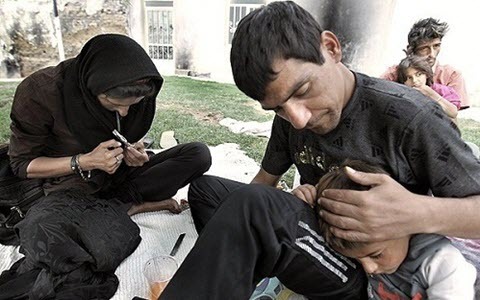 NCRI - With Iranian regime officials refusing to give the real number of the country’s drug addicts, there have always been different figures released by state bodies. Now after years of waiting for the country’s drug addiction statistics to be announced, regime’s counter-narcotics taskforce spokesman finally announced in a news conference held on 24 June that there are two million 808 thousand drug addicts in the country. This comes at a time when Ali Hashemi, head of the so-called counter-drugs committee in regime’s expediency council, had previously announced that the number of country’s drug addicts was four million. The main reason behind the ruinous ‘drug addiction’ disaster is the Mullahs regime’s structure and resorting to repression as one of the regime’s main tools for ruling over people who are forced to turn to narcotics due to social, economic pressures. Moreover, state bodies like the Revolutionary Guards are the ones who are making the most profit out of a widespread drug use. Regime officials have repeatedly stated that each of Iranian youth are acting like a time bomb, and drug addiction as a devastating disaster is the most effective way for the regime to get rid of Iranian young generation.